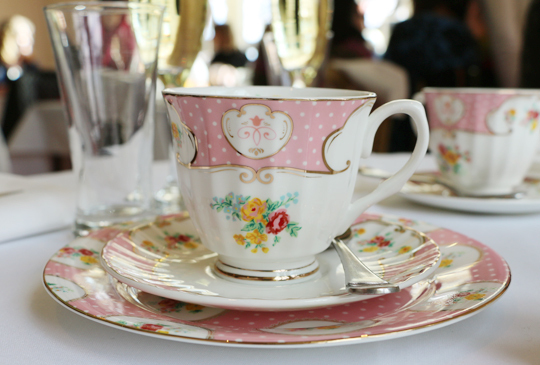 There’s fewer joys than enjoying a traditional high tea in a castle. 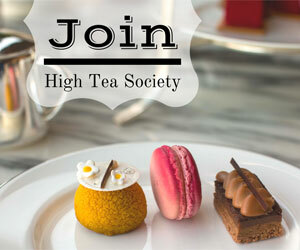 At Overnewton Castle, the High Tea Society got to do just that. Set on five acres of beautifully manicured gardens, Overnewton Castle was originally built in 1849 as a single story bluestone colonial style homestead. 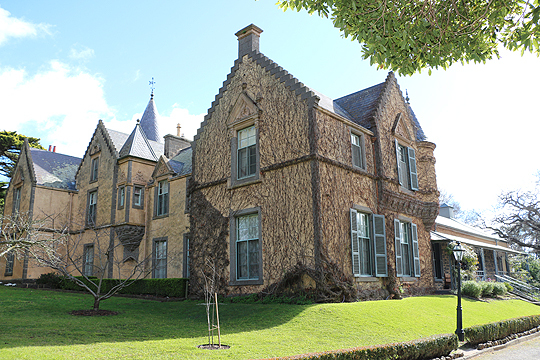 A decade later, owner William Taylor transformed the homestead into a miniature Scottish Baronial Castle. 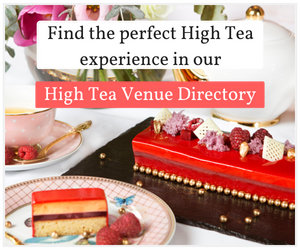 For anyone interested in finding out more about Overnewton’s history, the venue offers a 90-minute tour of the historical castle prior to serving high tea. Today, a main dining room on the ground floor is used for wedding receptions, corporate functions, and, about twice a month, high tea. 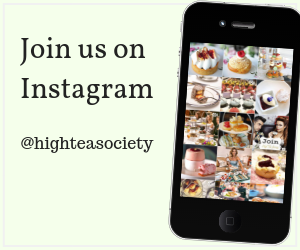 When the High Tea Society arrives, our table is beautifully set out with linen tablecloths and napkins, patterned teaware, and glass bowls generously filled with jam and cream. The only disappointment was that the sugar was served in sachets. Considering the high quality of presentation at the rest of the table, I personally would have preferred sugar cubes in a bowl. The dining room itself is filled with natural light and gorgeous views of the grounds, and a large chandelier provides a touch of old-world glamour. It’s obvious this is a popular venue, with all tables booked out and a lively atmosphere on arrival. 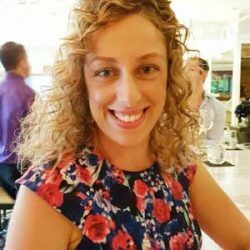 We were offered a glass of Willowglen sparkling wine, and English breakfast tea, which was topped up frequently throughout the sitting. 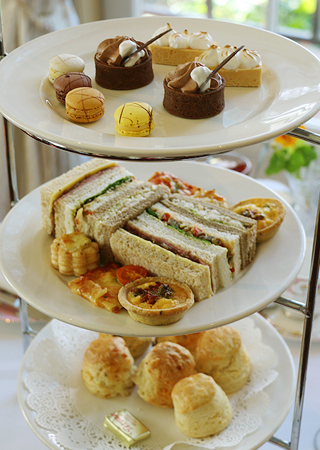 The high tea is served on a three-tier tray, with the petit fours on top, sandwiches and savouries in the middle and the scones on the bottom. The mixed roasted vegetable sandwich, which had a great antipasto taste, was a non-traditional but welcome filling, as was the pastrami with caramelised onion. 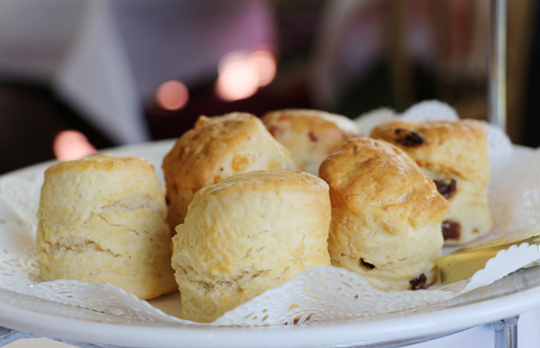 Quite unusually, there were three scones to try out – a savoury cheese and chives, the more traditional plain, and sultana – and all three were a delight. 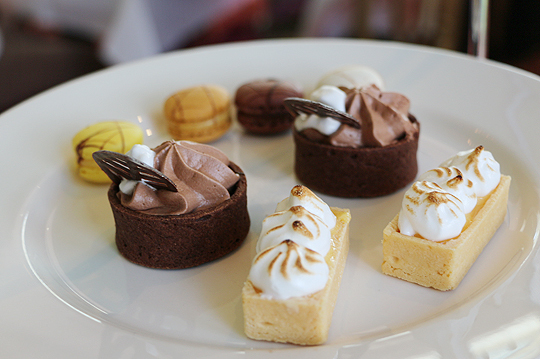 The mini macaroons, which came in vanilla, lemon, dark chocolate and salted caramel, were great bite-sized desserts, the chocolate mousse cups were rich, and the petite lemon meringue pies had a great tangy aftertaste. 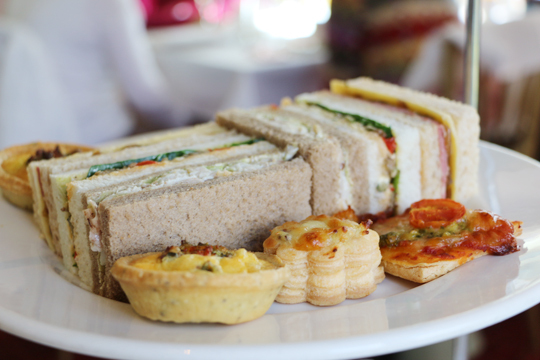 For the price point, setting and food, Overnewton Castle is a great choice for a classy high tea. 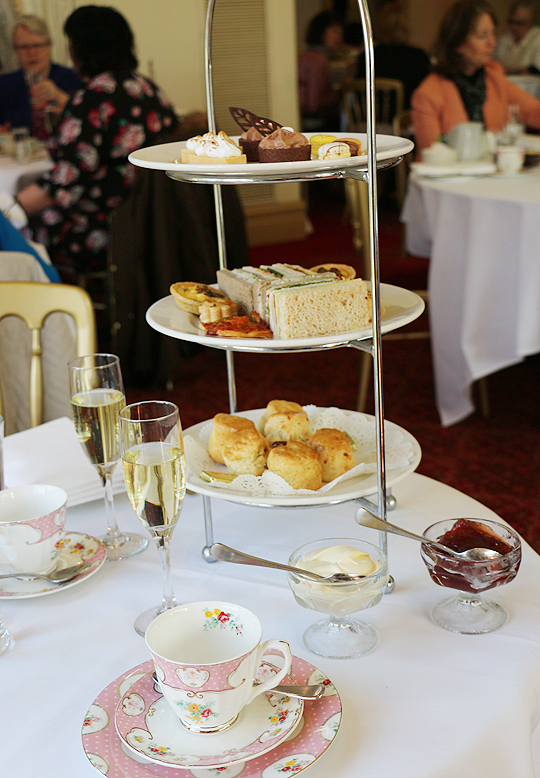 Overnewton Castle serves high tea on selected dates. View their website for more information.